This is one of those combinations that would’ve been a big “fashion don’t” back in the day, but I’m loving it! 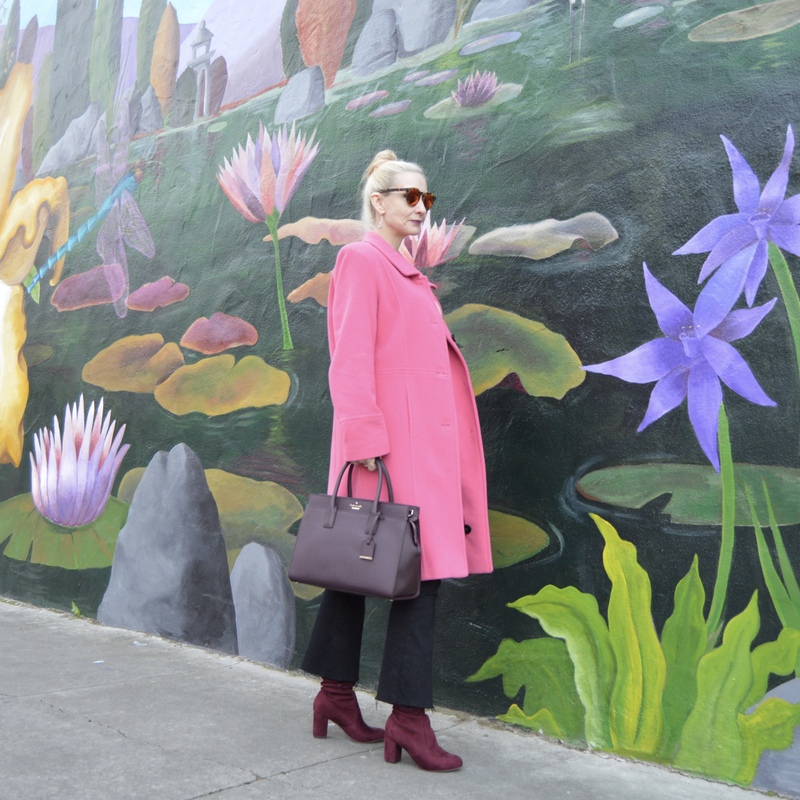 This bright coat is special to me … an old hand-me-down from my mother who passed away. She was my favorite shopping buddy and I miss her every day. I started this blog three years ago when she was sick as a fun distraction from the more serious stuff in life and sometimes I like to think of it as her parting gift to me. The coat is big bit on me, which is ironic since Mom was a tiny thing. In her older years though, she had developed the Mary Kate & Ashely philosophy of fit, the bigger the better! 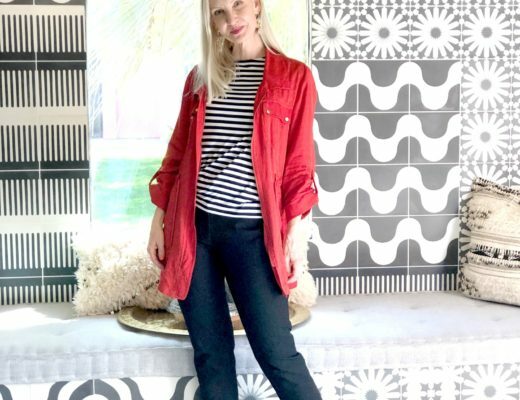 I paired the coat with what I call my “sweater of the season” (this lace-up style is really on trend right now), my favorite cropped flare black pants (Hudson Mia Raw Hem), and my new boots and Kate Spade bag. I thought the top knot was a good balance with the oversized coat. And I added my favorite sunglasses, lipstick, and new Kendra Scott earrings! I’ve had my eye on this pretty wall for awhile but no outfit ever really seemed like a good fit. This worked out beautifully though! I think I’ll come back to the this pretty mural in the springtime too. Another fun wall in my neighborhood! 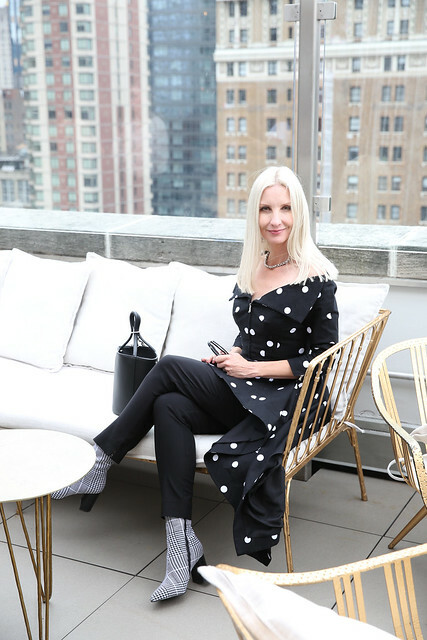 My fav look from last week was Mary Murane’s chic boho-inspired look …. I told her that I pinned the #$%& out of it! Hee! Speaking of, are we following each other on Pinterest? Follow me and I’ll follow back! Hope your start to the weekend is wonderful! Don’t forget to link up! Link Ups:Visible Monday! Shoe and Tell! Kreme de la Kremb #iwillwearwhatilike link up! Hello Monday! Mix It Monday! How I Summer! Creative Mondays! Let It Shine! The Wardrobe Stylist A Lovely A La Mode Link Up! Sincerely Jenna Marie! Turning Heads Tuesday! Confident Tuesday! 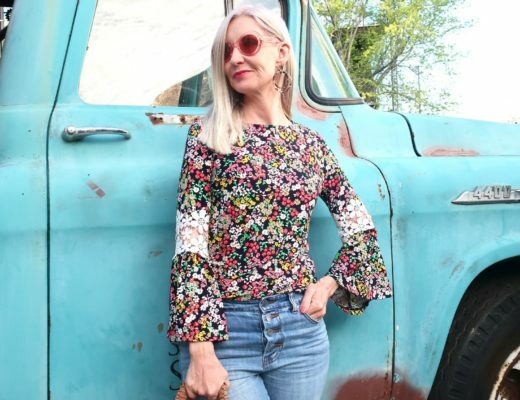 Bloggers Who Inspired Me! Tuesday Fashion Party On Trend Tuesday! Reasons to Dress! Upbeat Soles! Style Perspectives! Trendy Wednesday! 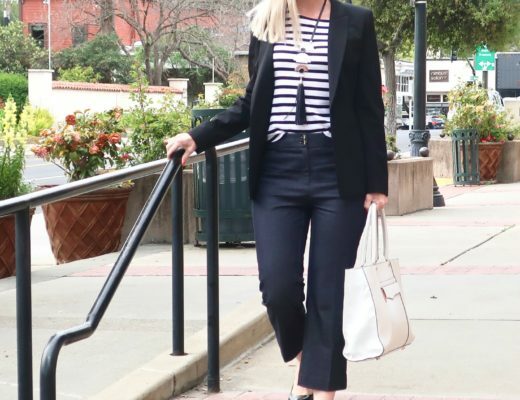 What I Wore! The Wednesday Pants! Tucker Up! Jersey Girl Texan Heart! Pumps and Pushups! Color and Grace! Throwback Thursday! Thursday Moda! Thursday Fashion Files! Labour of Fashion! Thursday Favorite Things! Thursday Moda! Top of the World Style! Fine Whatever! Welcome to the Weekend! Passion for Fashion! Fabulous Friday! Fab Favorites! Friday Favorites! A Forage Fashion! Link Party with Osy! Flashback Fashion Fridays! 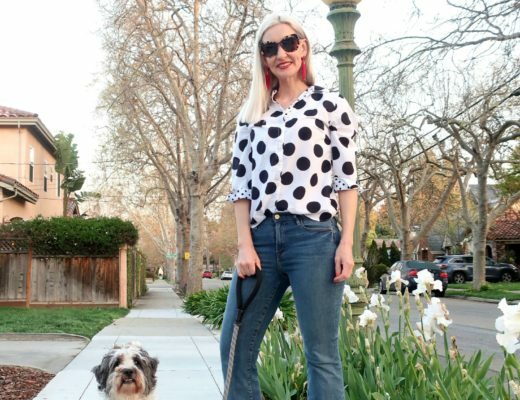 Weekend Wear Link Up! Sheela Writes! The Weekly Edit! Untamed Style! Edge of the Week! Nancy’s Fashion Style! How wonderful it is that you now wear that coat. And what a stunning pictures! What a special coat. It is gorgeous, and I’m glad that you are wearing it! I absolutely love the color combo of this outfit (and, yes, how funny that it would have been once a big no-no…). Yeah we’re lucky around here and murals seem to be getting more and more popular! Where are you again, Rena? It’s so nice to have some sentimental items, Dawn!! That coat is such a lovely color! Love this fun mix of colors! So glad you have your mother’s coat to snuggle it and great memories. What a great outfit, and that coat is a gorgeous color on you! Stunning! Love all shades of pink! That coat is gorgeous!!! Thanks so much for hosting! Such a cute coat!! I love this look! I love everything about this look especially that coat and bag…..oh and the boots (can’t forget them!). 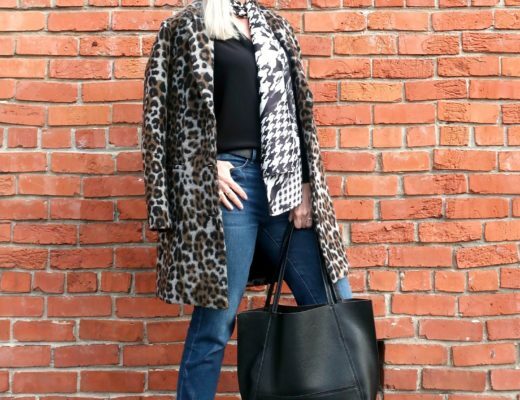 Stunning statement coat Lucy! Love that is has a special feeling attached to it. Thanks so much for the link up! Dawn Lucy, this is so fabulous! And it is even more magnificent because the coat is so special to you. I think when we add sentimental pieces to our outfits, we tend to just glow a little bit more. You look stunning and gorgeous as usual….but with a little extra glow, for sure! That coat is fabulous and so special! Its’ such a fun and happy color! You look stunning! These colors are gorgeous together! I am in love with that coat! Stunning! Such a cute coat! LOVE it! Great boots too! Oh, this is a FABULOUS combo!!! Absolutely love these colors and they look great on you! Aw, I love that you have the coat in memory of your mom. What a beautiful coat , love the collar and vintage look. The pairing of these colors is very pretty and I am in love with thos e black jeans on you. The detail on the sweater is so pretty, I do like lace up! Three of my favourite colors! The coat is beautiful, and all the more precious as it was your mother’s. Thanks for the link up, it’s my first time! What a lovely color palette and backdrop!! I love a pink and burgundy color combo. Your jacket is beautiful! Lovely color combination! You definitely found the right outfit for that backdrop — you and the backdrop both manage to shine! Thank you for hosting, have a fabulous weekend! Beautiful mix of colors. I really like the pink coat and think it is so much better because it was your mother’s. I enjoyed seeing the cool background walls, too. This coat is so gorgeous. I love that it was your mothers. It makes it that much more special! You look amazing! Love the combo! 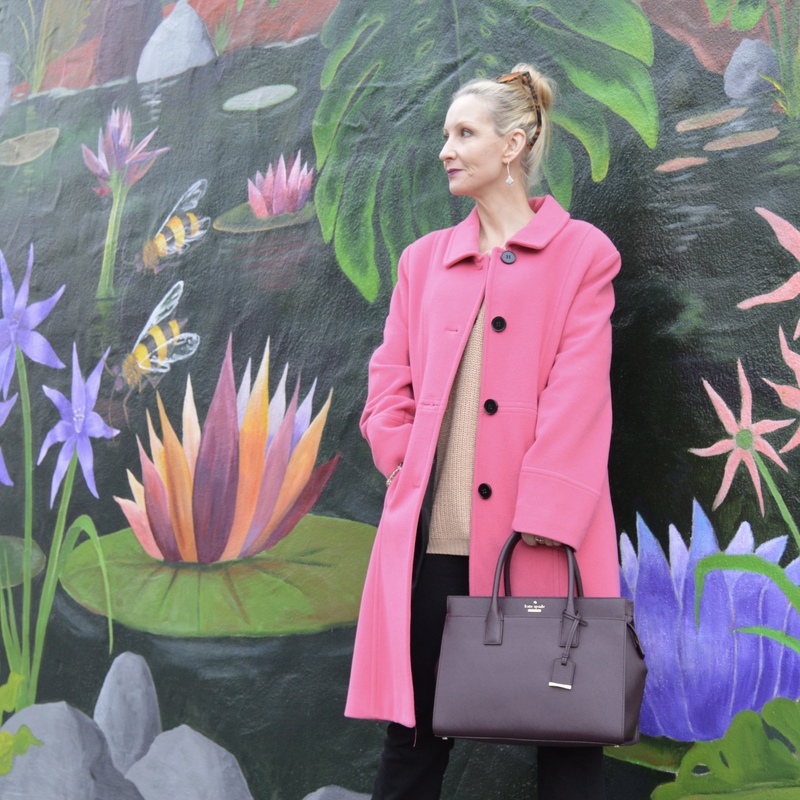 What a gorgeous pink coat – and the memories associated with it make it even better! My burgundy booties have been such a fave this fall/winter! I just adore that pink coat!! I LOVE these colors together! Barbie pink reminds me of my mother, too. I just followed you on Pinterest! Super excited to see all your boards!